TEST METHOD:- The freezing point of an aviation fuel is the lowest temperature at which the fuel remains free of solid hydrocarbon crystals that can restrict the flow of fuel. The temperature of the fuel in the aircraft tank normally falls during flight depending upon aircraft speed, altitude, and flight duration. The freezing point of the fuel must be lower than the minimum operational tank temperature. The test determines the temperature below which solid hydrocarbon crystals form in aviation fuels. The sample is cooled with continuous stirring in a Dewar-type sample tube until crystals appear. Apparatus :- Consist of one wooden insulated assembly , one dewar flask, stirrer for above, illumination facility, freezing point tube and front window for observation, along with thermometer with calibration certificate for observation. 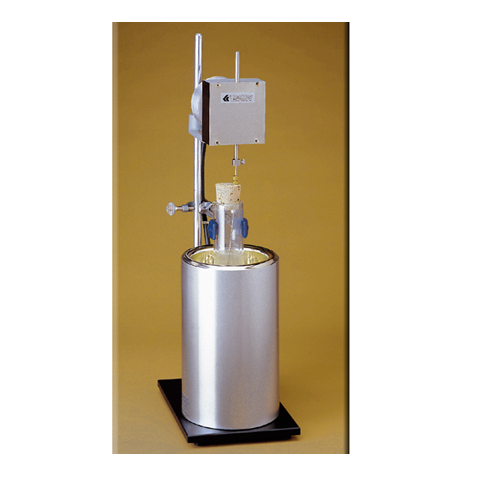 We specialize in offering a gamut of viscometer with constant and thermometers in accordance to IS. Our range products has vast scope of certified precision engineered products and scientific equipment like testing instrument, laboratory testing equipment, oil testing instruments, petroleum testing instruments and many more. Another unique service that we offer include giving out traceability certificates to the customers from international organizations like Cannon and NPL. We have won a reputed clientele that includes leading companies like NTPC, Bharat Petroleum, IOL, Hindustan Lever, to name a few.